I've discussed previously the fact that I sit squarely in the millennial category and I have to 100% agree that a brand which offers the world more than just profit reports, but actually gives back in any form - be that donating to charities on a regular basis, refraining from testing on animals or working to cancel out their carbon footprint. All these things entice me to buy from a brand as much as price and convenience. It's not just my generation however that find such things appealing. Over 90% of consumers expressed an increased willingness to buy from/ engage with brands who were more authentic - 90%! We are living more and more in a world where our surroundings and how we interact with them are equally as important as profits and losses. Here are the top 100 brands currently deemed the most authentic! It’s been said again and again that millennials want to buy from brands that are authentic and do more than just concentrate on making money. Turns out millennials aren’t the only consumers who think this way. 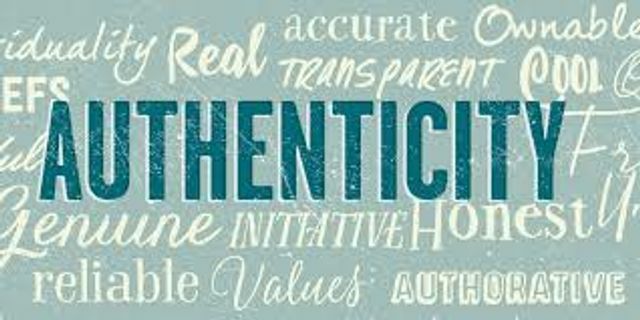 According to Cohn & Wolfe’s 2017 Authentic Brand study consumers across the board value brands that are authentic. Globally, 91 percent of consumers said they are willing to reward a brand for its authenticity by recommending the brand to friends or buying the product. More specifically, 62 percent said they would either purchase a product from that brand that they deem to be authentic or express greater interest in buying from that brand in the future.